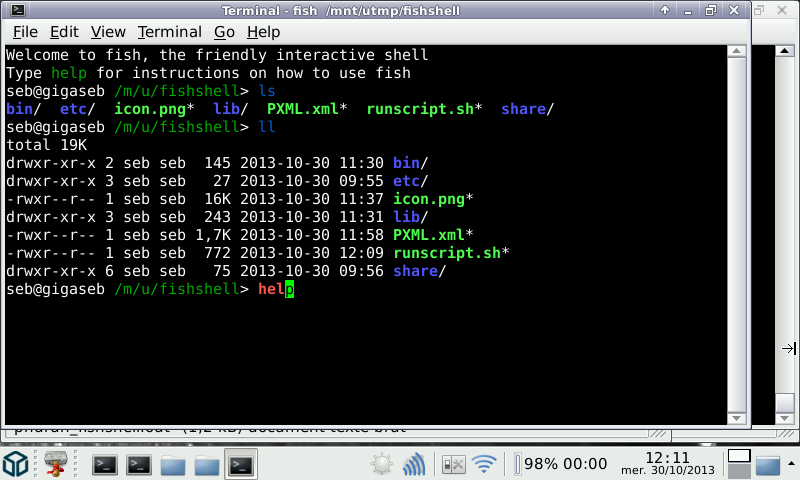 shell for OS X, Linux, and the rest of the family. Here is Fish, an alternate and colorfull alternative shell. thanks PtitSeb for this excellent shell port!